Berlin Gallery Weekend is Coming Up! 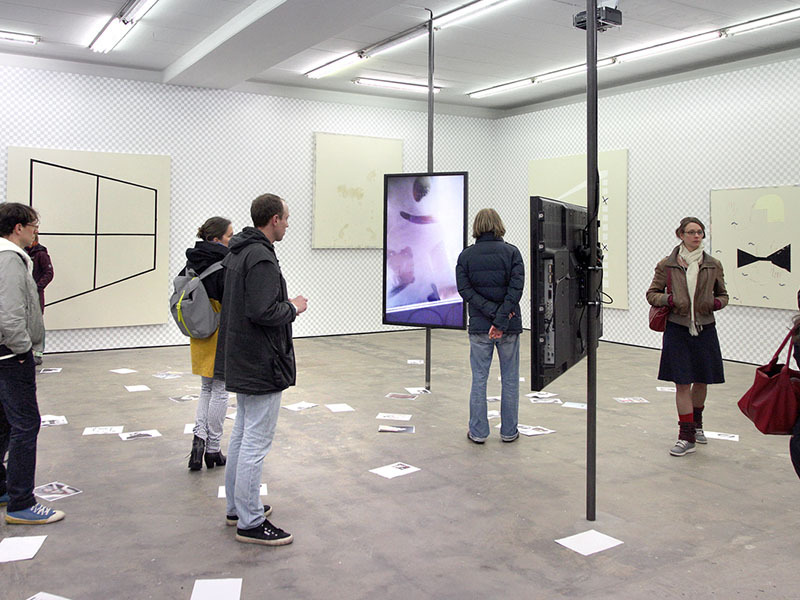 If Germany isn’t reason enough on its own for art lovers to visit it, then events like Art Cologne and Berlin Gallery Weekend should definitely do the trick. 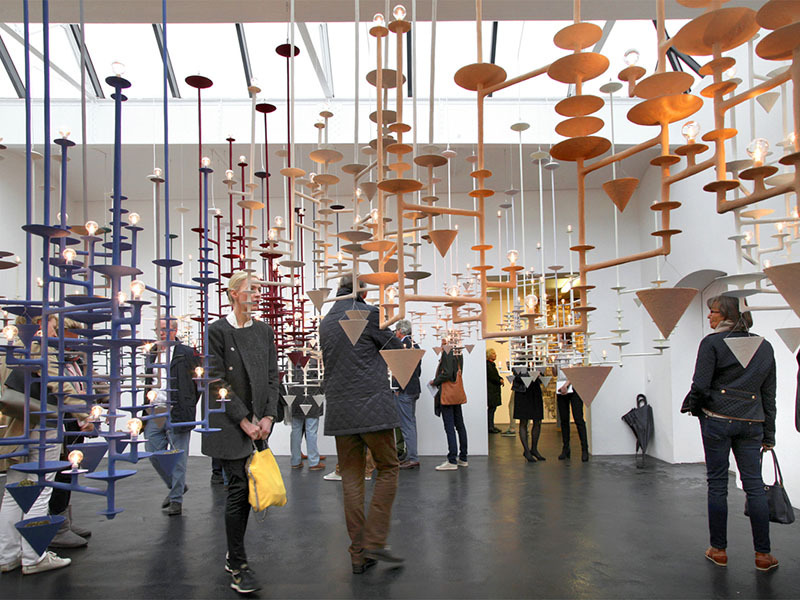 The country’s largest and oldest art fair for modern and contemporary art just concluded its 50th edition at Koelnmesse, meaning that the focus will now shift towards the capital city, as some fifty local galleries will have exhibition openings together for the 12th time. Apart from the official program, many satellite events will also take place, leaving the visitors plenty to see during the three days at the end of April. However, it seems like those who wish to attend both shows next year will have to break the laws of physics – Art Cologne announced a slight change of dates and it will now coincide with the 2017 Berlin Gallery Weekend. Berlin Gallery Weekend vs Art Cologne – May the Capital Win! Citing scheduling issues with the fair’s venue, the Koelnmesse convention hall, the director of Art Cologne justified the decision to set next year’s edition for the weekend of April 28 – May 1, dates that are traditionally occupied by Berlin Gallery Weekend. To say the least, this has caused an uproar among the gallerists, many of whom were planning on participating in both events, something that now seems less likely. While they agree this will certainly mean losses for both cities, it would seem that the majority is leaning towards choosing Berlin, rather than staying in Cologne or spending at least half a day travelling from one place to another. The capital, after all, does promise a rich program of events that will take over the entire city that spans genres from contemporary to urban and street art. While we wait for the tale of the two cities to unfold, let’s focus on the 2016 edition of Berlin Gallery Weekend, now only a few days away. Starting April 27, the entire urban area will turn into a single exhibition space, divided among a total of at least 54 art spaces across town. At Schinkel Pavilion, there will be the opening of two shows while the screenings of KwieKulik will kick off at Zak Branicka. On April 29, all the galleries will officially open its doors in the evening, from 6pm to 9pm. On Saturday, April 30, and Sunday, May 1, DAAD Galerie is hosting a performance entitled Sriwhana Spong, Im Wintergarten, there’s an artist talk at Michael Haas, and Berlinische Galerie will host the artist cinema project called Videoart At Midnight. Among the exhibitions, a little something for everyone. Familiar names like Oscar Murillo and Wolfgang Tillmans will be shown at Galerie Isabella Bortolozzi and Galerie Buchholz respectively, while Helga Maria Klosterfelde will host Rirkrit Tiravanija. Great group shows can be found at Kicken, König and Galerie Nagel Draxler, and we also recommend you don’t miss Idris Khan and Daniel Buren at Thomas Schultz, Tomás Saraceno at Esther Schipper, and Mark Wallinger and Iman Issa at Carlier | Gebauer. …there will be lots to see during Berlin Gallery Weekend and beyond! 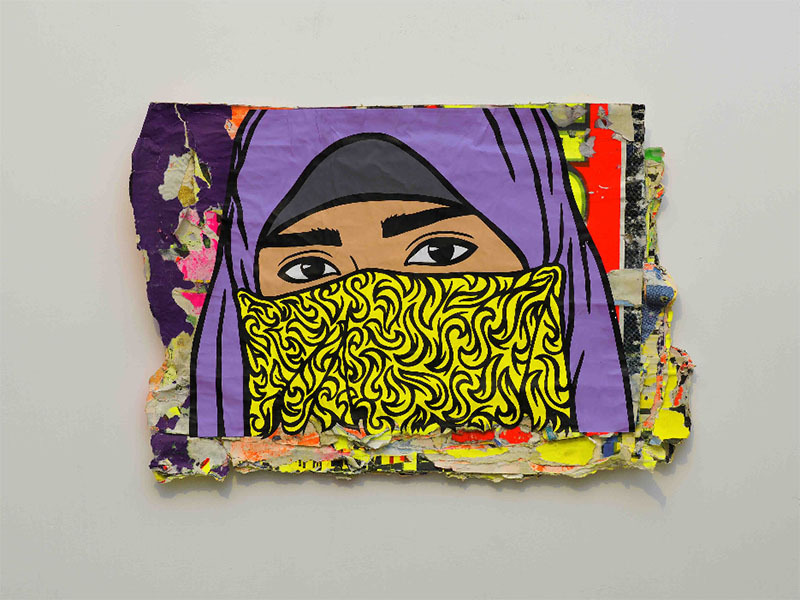 The city’s most prominent spaces dedicated to urban and street art have been preparing with care for this event and will now offer a chance to see the works of today’s biggest names. At OPEN WALLS Gallery, for instance, one can find a solo show by Italian artist BR1, featuring his beautiful portraits and multimedia works. At another seminal gallery, Urban Spree, an awesome group show featuring 58 Berlin-based artists such as ABOVE, Alaniz, James Reka, Jim Avignon, Johannes Mundinger, Julia Benz, TWOONE, Various & Gould, and XOOOOX, who will also have a solo show at Circle Culture Gallery. If you’re more into abstraction, go see Mike Bouchet at Peres Projects. Berlin Gallery Weekend is just one of those events that make your head spin when you look at the list of all the events it offers – and the best part is that you wouldn’t dare miss out on any of them. And just when you think you got ahold of it, there are also all the major art institutions in the city, with even more exhibitions to see. Take meCollectors room and their remarkable show of works by Cindy Sherman, or a Stephen Shore retrospective held at C/O Berlin. On view at Martin-Gropius-Bau, there’s an exhibition dedicated to Isa Genzken, and at Hamburger Bahnhof, you can check out the art by Julian Rosefeldt. Of course, you’ll need a place to stay while in the capital, which is why we also prepared a selection of the very best art hotels for your pleasure, and since you’re here, you do not want to miss all the amazing murals around town – how about a map of all of them? 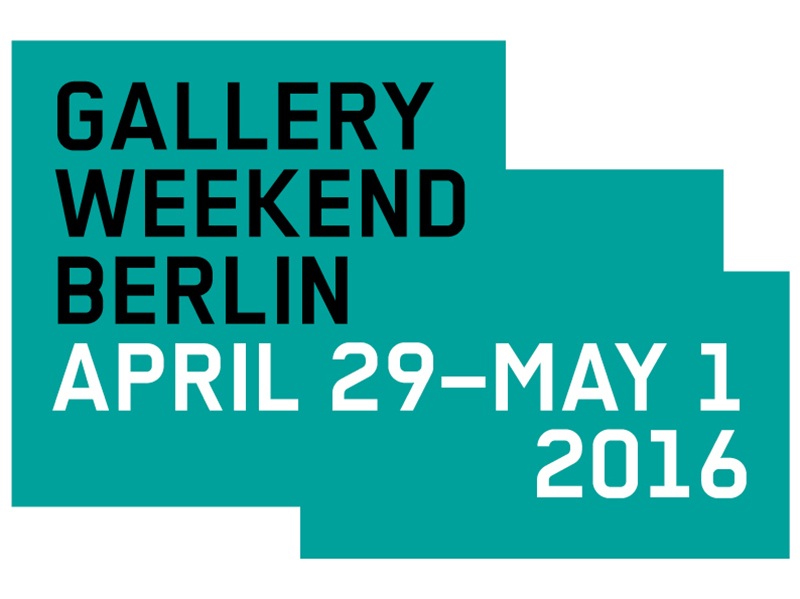 So, get your calendars ready for the weekend of April 29 – May 1, 2016, and be part of the 12th edition of the spectacular celebration of art that is the Berlin Gallery Weekend!